5618 - Narrow Wall Warm Climate Hydrant - Jay R. Smith MFG Co.
For installation in interior or exterior walls of building where an exposed hose connection is acceptable and there is no danger of freezing. Hydrant features an integral type vacuum breaker. Removable key prevents unauthorized use. 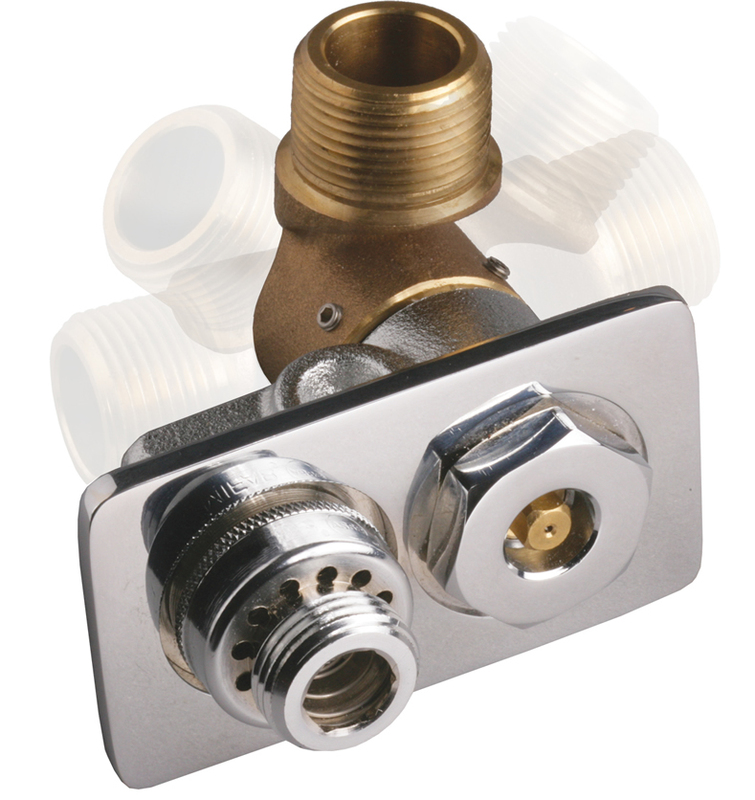 All Bronze Warm Climate Hydrant with Chrome Plated Face, Hose Connection and Integral ASSE 1011 Vacuum Breaker, 360° Swivel Inlet Connection and “T” Handle Key.